Christmas is most beautiful time of the year. This is day for love and happiness with family and person you love. We made one best fashion story with one beautiful princess. All kingdom are in rush to prepare and organize biggest Xmas ball for great winter holiday. King invited all celebrities to the party. Our girl has her art performance for Xmas eve. She will sing the most beautiful Christmas songs and say beautiful Xmas carols. 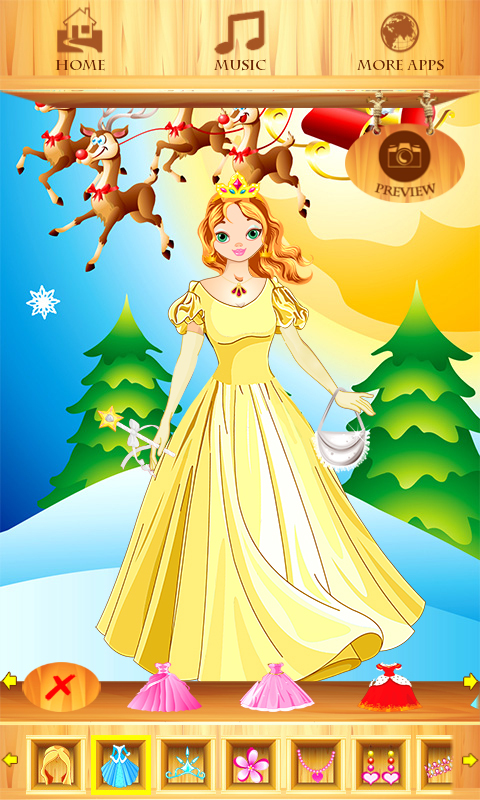 She has to look beautiful because she is Christmas princess. She needs one new stylist and fashion designer. 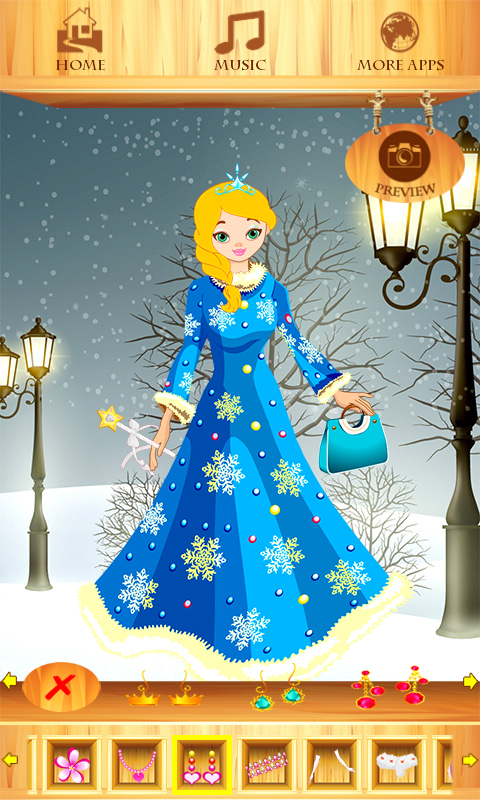 Please accept this dress up challenge, and help to Christmas Princess to dress up well and shine like a star tonight. 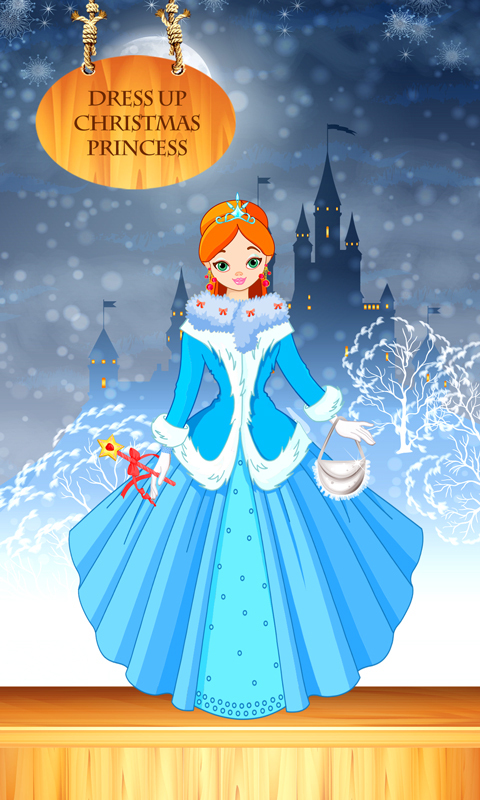 Download for free Dress Up Princess game, and your dress up contest can start. 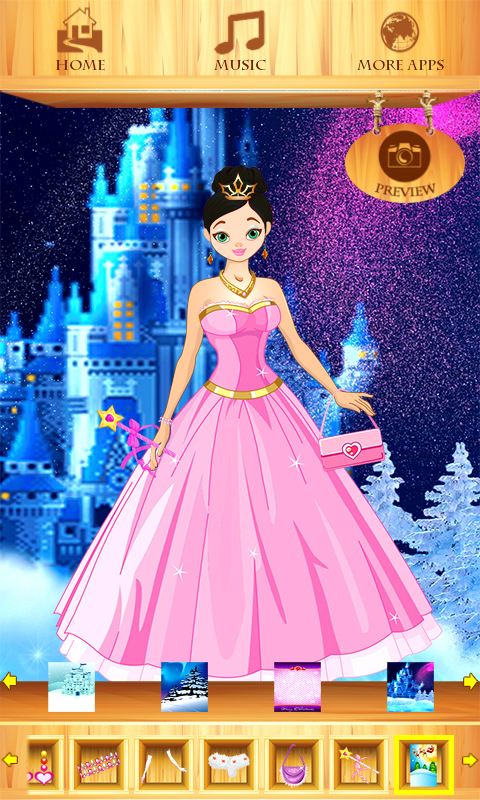 Take a Xmas Princess to fashion salon, and choose the best dress and other necessary outfits for her. 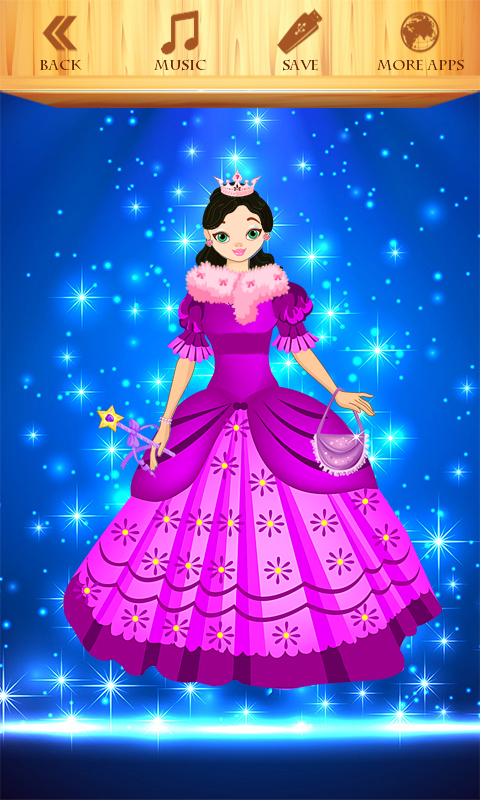 Create magical princess look. Make her to shine like a star and make her proud like a queen.